Air Partner has been asked to assist the Born Free Foundation in the successful relocation of a lion that had been kept illegally as an exotic pet in an apartment in Paris. Since being found in October last year, he had been living temporarily at Natuurhulpcentrum rescue centre in Belgium but was recently found a new permanent home at Born Free’s Big Cat Rescue Centre at Shamwari Private Game Reserve in South Africa. 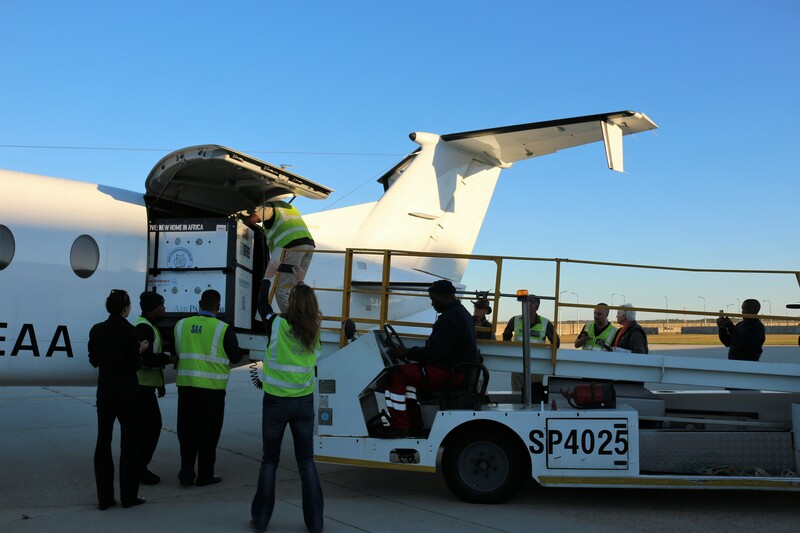 Air Partner was tasked with transporting the big cat from Johannesburg to Port Elizabeth on a chartered aircraft, from where he made the hour-long journey to Shamwari. “We applaud the amazing work that Born Free does in the field of animal protection and were honoured to have played a role in this rescue mission to bring King to Shamwari, where he will be given expert care for rest of his life. We pride ourselves on our ability to handle every kind of cargo, however sensitive or valuable, and – as always – my thanks go to my team for their hard work and dedication,” said Mike Hill, Director of Freight. The team at Air Partner has assisted with the complex custom clearing process in Johannesburg to ensure a smooth transition from King’s initial commercial flight on Kenya Airways to the chartered Beech 1900 for the next part of his journey. The turboprop was chosen for its suitable cargo size, which allowed two vets to travel alongside the lion with access at all times. Ensuring the safe loading and unloading of King was paramount, as was his health and welfare. “We were delighted that Air Partner was able to help us with this part of King’s life changing journey. King is already settling into his new home at our Big Cat Rescue Centre at Shamwari Private Game Reserve, South Africa – he is exploring his new surroundings and is intrigued by all the new sights and smells around him. King is one of the few lucky ones: we simply don’t know how many other wild animals are being kept illegally as pets across Europe. Born Free will continue to work hard to ensure that wild animals are kept where they belong – in the wild,2 commented Maggie Balaskas, Animal Rescue and Care Manager at the Born Free Foundation.